Are you seeking a quality depanning cup at a competitive price? 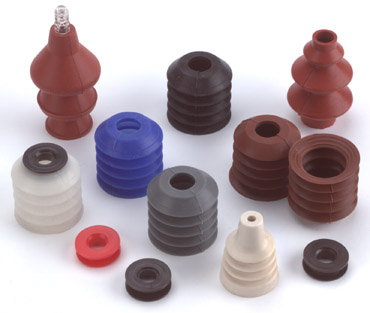 If so, please look to ACE Rubber Products, Inc.. We offer many colors and alarm sensing with smooth or ribbed suction areas. We offer ultra soft and medium flex values on all of our cups. Our cups are made of the finest FDA white list material and offer softer touch and deflection values without giving up compression and retention which means very little marking of your products. They have been field tested for durability, longevity, and repeated clean up. We offer custom compounding for your specific needs because it is essential that you have the proper cup available to you. High levels of vacuum for suction cups should be avoided if possible. 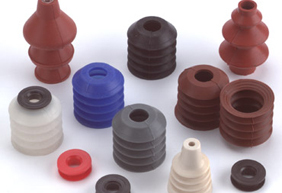 Therefore, it is usually preferable to maintain a lower vacuum and increase the area of the suction cup. The effective force is directly proportional to the suction area of the cup. ARP-152 and ARP-152M have .500 to .730 inches more per cup than any standard cup on the market and can run on your bread or bun line because of the ultra-soft base.